Bryan Cranston Breaking Bad, Malcom in the Middle, whose star is seriously lighting up right now, has been cast as Commissioner Gordon; Ben McKenzie Southland is Bruce Wayne/Batman; Eliza Dushku Dollhouse, Tru Calling will be Catwoman and Katee Sackhoff Battlestar Galatica is Sarah Essen, Gordon’s love interest. 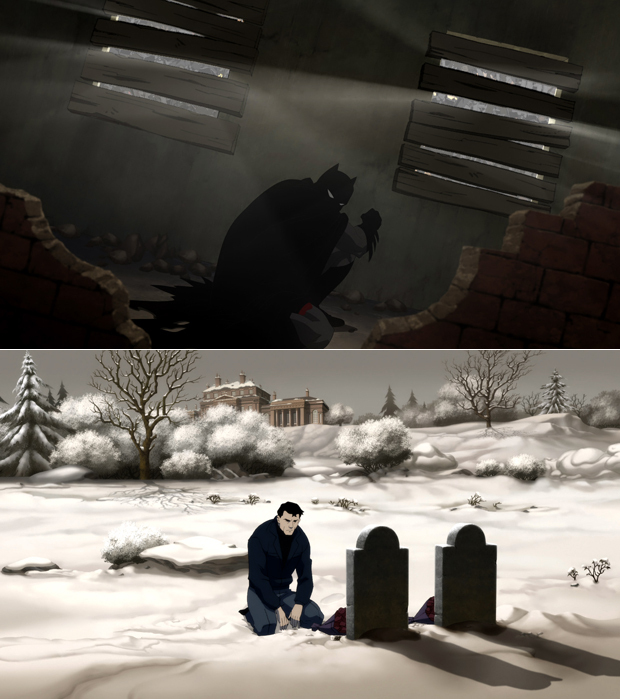 as excited as I am about another high quality Batman cartoon, I’ve seen his damn origin story about 50 times now, and it’s starting to feel like that’s all DC/WB knows how to do. Why not do somethin that takes place a little later in Batman’s life?